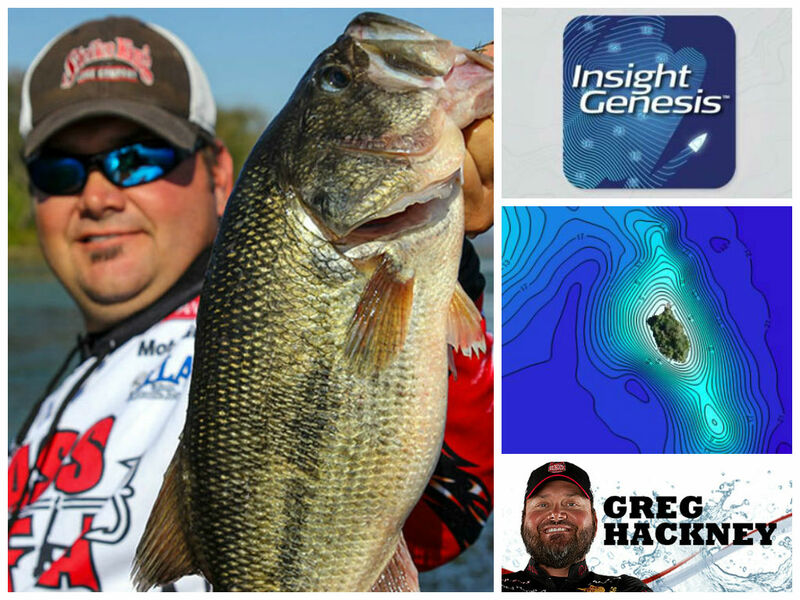 Insight Genesis maps give anglers an advantage, says Greg Hackney, the 2014 Bassmaster Elite Series Angler of the Year. 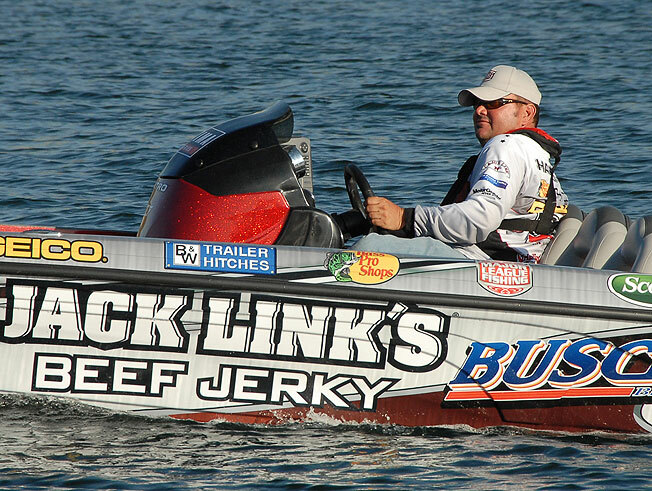 Hackney’s comments came in late August while preparing to compete in a Jack Link’s Major League Fishing’s General Tire Summit Cup event contested on four lakes in the Waterville, Maine, region. Every angler’s boat in the competition was equipped with a Lowrance HDS 9 Gen 2 Touch GPS/sonar unit at the console and an HDS 7 Gen 2 Touch up front — both of which were loaded with Lowrance Insight maps. 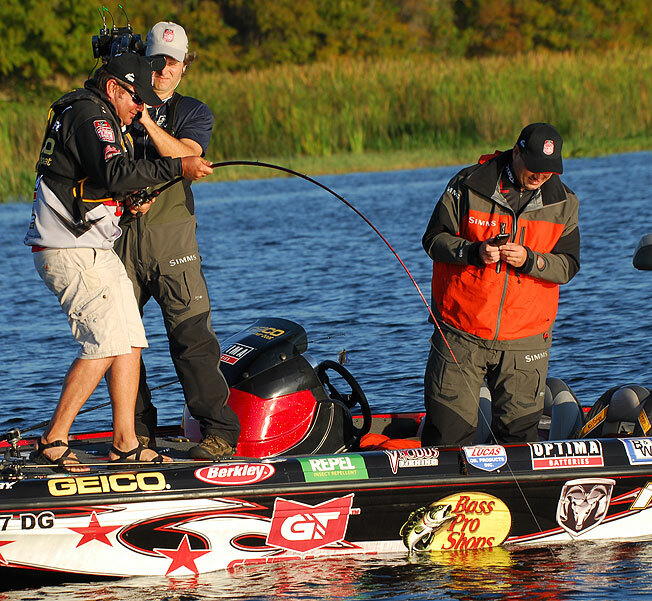 Unlike in other tournaments featuring the world’s top bass pros, anglers do not get to practice on the lakes they fish in the competition. In fact, they are not told what lake they will be competing on until after an MLF official chauffeurs them to the boat ramp on the morning of the event. Before the competition begins, the anglers are allowed a mere 15 minutes to drive around and scout the lake. That’s why the Lowrance Insight maps are so valuable in MLF competition. Fishing success is built on a stool with three essential legs — superior sonar imagery, outstanding StructureScan views and the best maps on the planet. Most anglers already know that Lowrance dominates in the first two categories. And word is starting to spread about Lowrance’s superior mapping solutions, especially Insight Genesis, the innovative, online service that empowers anglers to create custom lake maps from sonar data recorded with the Lowrance, Simrad or B&G sonar/GPS unit on their own boats. Anglers of all experience levels will benefit from the superior detail that only Lowrance Insight Genesis can give you. “In the past, it might have taken you 20 years to learn a lake,” Hackney says. With highly detailed maps like Insight Genesis charts, however, you can successfully pattern even an unfamiliar lake in less than a day. “That’s the cool thing about having a good map – you can see the good stuff,” he says. One-foot contour lines on Insight Genesis maps are much more accurate than the estimated contour lines on many off-the-shelf, digital chip maps that not only miss, but often obscure, fish-holding structure of interest to anglers. Maps as highly detailed as those created with Insight Genesis are a huge time-saver to anglers — be they Bassmaster tournament winners like Hackney, or weekend warriors that fish just for fun and braggin’ rights. This highly detailed fishing map was custom-made with Insight Genesis on a lake in the Waterville, Maine, area, where Major League Fishing competed on four area lakes. (This lake was set aside as a back-up. Although MLF did not compete on it, it did host a sponsor fishing trip on it. Tournament anglers and recreational fishermen alike can prevent wasted time on dead water by using highly detailed Insight Genesis custom contour maps to quickly locate productive fish-holding structure, bottom-hardness transitions and sweet spots in and around vegetation. Anglers can create custom Insight Genesis maps — with true one-foot contours — from sonar logs recorded with their Lowrance HDS or Elite GPS/Sonar unit, or they can download a highly detailed chart from Insight Genesis Social Map. And with Insight Genesis Social Map, anglers close to home, across the country and around the world are community-sourcing poorly mapped and/or un-mapped lakes in their areas and sharing them with other anglers, who in turn, are sharing their maps for you to benefit from. 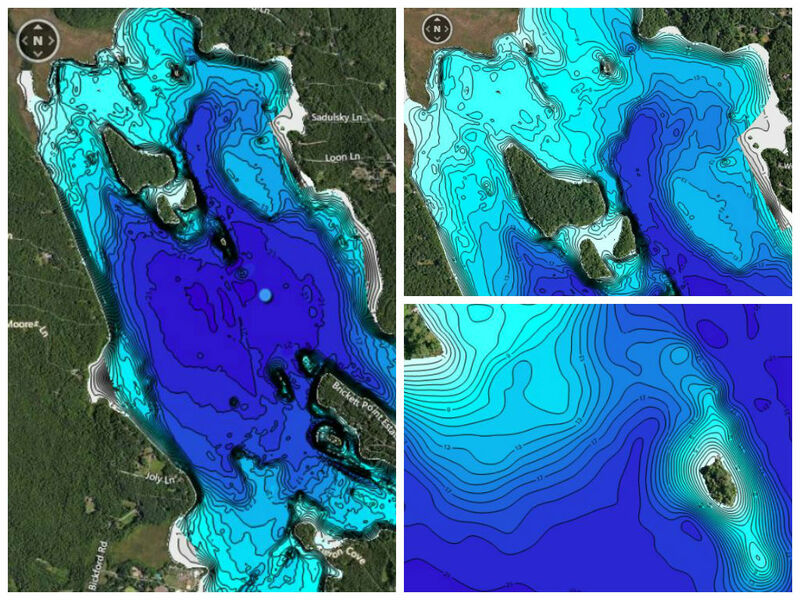 A one-of-a-kind online database of custom contour maps generated and shared by the Lowrance community, Insight Genesis Social Map is built on a base layer of existing Insight contour charts. It refreshes itself in near real-time with sonar data shared by the Insight Genesis community, revealing new fishing holes for anglers. Talk about fresh data! 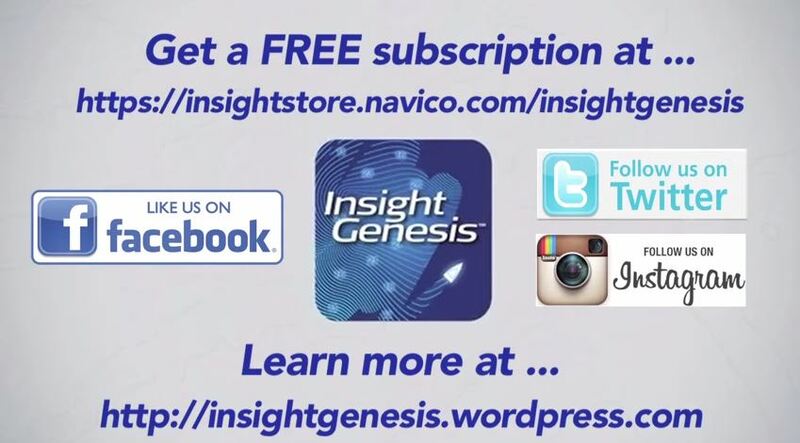 Find fish with Insight Genesis for FREE! Premium subscribers can load their custom maps and Social Map charts onto their compatible* Lowrance Elite HDI, HDS*, Simrad NS Series or B&G Zeus GPS or chartplotters for use on the water. As a Premium subscriber, you can also create unique bottom-hardness and vegetation-location maps, and can choose to mark your maps as private for personal use only. No matter which option you choose, your trails, waypoints and other personal data are always kept private. Hold a local mapping party on a lake near you! Is your home lake un-mapped, or poorly mapped? Let us know and we’ll work to organize a mapping party in your neck of the woods. These events typically include seminars on tips to get more out of your electronics and how to use Insight Genesis, and then a few hours of mapping. All recorded sonar data is uploaded by a local pro-staffer and will be made available almost immediately on Insight Genesis Social Map, from which mapping-party attendees can load the collective data onto their Lowrance Elite and HDS units. Oh, and there’s always some Lowrance swag giveaways! To organize a local mapping party on your home lake, email Greg Huff at Greg.Huff @navico.com.